Tim Morrissey began his journey in Colorado Springs by becoming part of the cannabis community in his younger years. He was deeply influenced by the people he met and continued to keep cannabis as part of his life when he began to travel the world and take in perspectives that would help to influence him later in his business ventures. 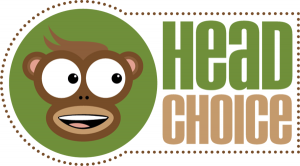 His travels eventually brought him back to the United States where he began his first business: Head Choice Inc. 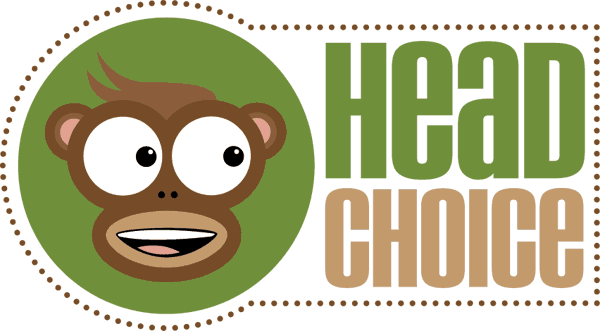 He had great success with Head Choice – especially with their distribution of vaporizers. However, he soon realized that the vape community was in need of a more environmentally friendly storage case for their products. After some deep thinking and careful contemplation, Dime Bags was born. Although Dime Bags was created to serve as way for the vape community to store their products in eco-friendly packages, it grew to become something much bigger. 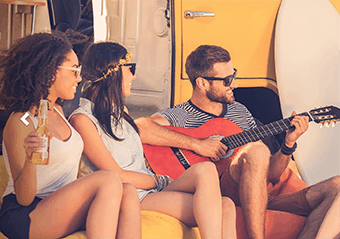 It wasn’t long before Dime Bags was encouraging its fans to live a ‘Dime Life’ and working to reduce the stereotypes associated with the cannabis culture. 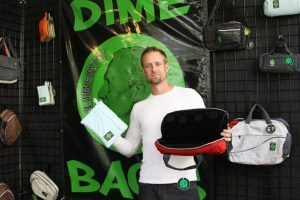 I had the chance to catch up with Tim and talk to him more about how Dime Bags has been able to influence the cannabis community and industry. CM: Hey Tim! Thanks for taking the time to talk to Cannabis Magazine! Tim: Of course! Thanks for inviting me! CM: We were so excited to have the opportunity to interview you because we think Dime Bags has an amazing mission and we’re excited to share more of your perspectives with our readers! Before we talk more about the company, can you tell us more about yourself? Tim: Sure! What would you like to know? CM: Well to start, where did you grow up? And how did your life up until now help to influence your decision to become part of the cannabis industry? Tim: I grew up in Colorado Springs, Colorado. You could say that I was a daily connoisseur before the industry was created. I’ve always been very involved in the community – and it brought me a life full of happiness and smiles. I had a lot of great times in the mountains. CM: Colorado Springs huh? That’s a beautiful area! And definitely a great community to get your start with. Can you tell me how you transitioned from being part of the cannabis community to being an industry leader? Tim: Well I traveled the world for about 10 years before settling down in San Francisco. That was during the early days in the industry. I started my business there, and then 3 years ago I moved it back to my hometown. CM: You’ve had an exciting life! Can you tell me more about what you were doing right before you founded Dime Bags? Tim: Before Dime Bags I started one of the largest distribution companies in the cannabis space – Head Choice Inc.
CM: I remember you telling me about that! Wasn’t Head Choice the company that brought the Journey Pipe to the United States? Tim: Yeah, that was us! Our best selling product was the vaporizers. We had a lot of successful products that we marketed, but as we grew we realized we had a problem – our customers were complaining about the packaging the vapes came in. We did some thinking and Dime Bags was our solution. 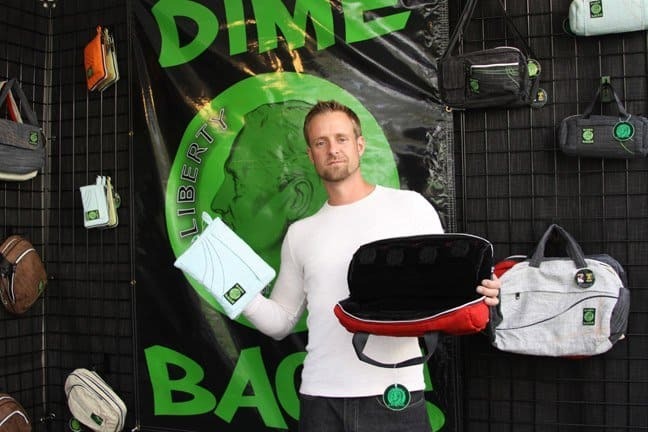 Dime Bags was created as a protective line for vaporizers and other cannabis related goods. 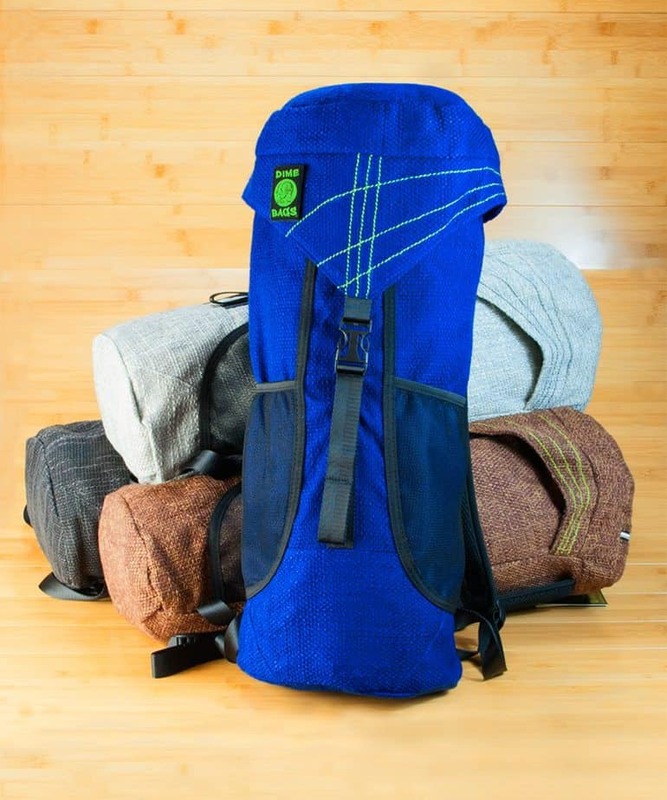 In 2007 we developed 14 styles of new bags – all related to the protection of glass and vaporizers in the cannabis space. CM: Definitely not! But it’s good to hear that you created Dime Bags to serve a purpose – one that would help to protect our planet, as well as give the cannabis community a great product! Tim: People use ‘dime’ as a common slang word, which means ‘a perfect 10.’ That’s what Dime Life is – an awesome life. We loved the concept of the ‘Dime Life’ because it means something different to each person. At the heart of the term, we envision those who dream big and get up each morning with a sense of purpose to achieve what makes them happy. 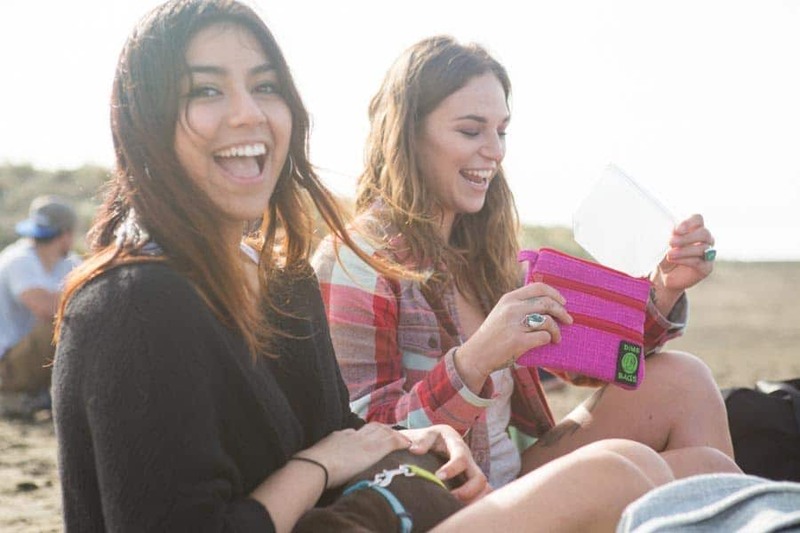 Dime Bags is really about creating bags that help each person live their best life. CM: I love that! And I know that you really aim to make that your mission – not only for yourself, but for your employees as well. You’ve told me about the special company culture you’ve created at Dime Bags before. Can you tell me more about the environment you’ve created in your workplace and how it impacts your business? Tim: I founded the company on the belief that “you come into this world free, you should live free, and you should leave the world free.” I try to employ that idea in our company culture. I never wanted this to be a place where our team members watch the seconds tick by on the clock. We want to make sure our team members enjoy what they do, but also have the freedom to live their lives and take care of themselves. CM: And it seems like doing that has given you some amazing results! You seem to get the same love from your employees that you do from your consumers – something not many companies can say. Tim: Yeah, and on an end consumer basis the culture is also really special because we find that end consumers often put our brand into a space similar to sneakerheads, hatheads, and other collectable items. CM: Yes, you definitely do! How do you find such exceptionally creative employees? Tim: As a whole, we believe that we hire in the young creative minds of our time. It’s our team and our skillsets that propel our business into the future. We strive to create a community within our team as well as creating a community with our customers. CM: I think entrepreneurs and business owners will be able to learn a lot from your business model. 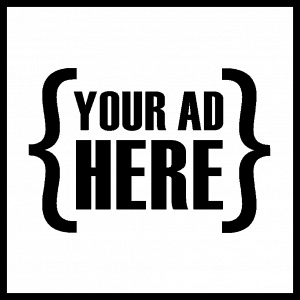 You have a visionary approach – something that we, at Cannabis Magazine, love to see! Based on what you’ve observed in the industry, what are three segments in the cannabis industry that you expect to see grow in the next three years? Tim: I think these three things will be the biggest forms of growth we see. First, I expect to see big box retailers finally realize the viability of the industry and the large audience of consumers they’ve been missing out on. Secondly, I think there will be more recreational and less medical [only] environments in more states as we pass the tipping point of more Americans coming to peace with the idea that marijuana doesn’t create drug crazed lunatics – it’s just a plant from earth that we can enjoy. And for the last segment? I think you should expect to see big brands that are pot-based going mainstream – like Dime Bags! CM: We can’t wait to see that happen! It seems like we’re finally entering a phase where people are really starting to understand what potential cannabis has to improve our quality of life. I like how you touched on that in your second point – that’s just a plant from the earth that we can enjoy. I think that’s exactly it. Do you have any other hopes for the industry as it continues to progress? Tim: Yes! There is an amazing culture of community within our industry. You see it the second you walk into a trade show – everyone is very welcoming and friendly. In the next few years we’d love to see that community expand. There are so many people worldwide that enjoy cannabis or rely on it for their health and quality of life. Currently, so many people live in areas where the stigmas surrounding cannabis are still really prevalent. We’d love to see that disappear for them. CM: We agree wholeheartedly! As someone who grew up in the cannabis community and has been able to see both the community and the industry begin to grow and develop, do you have any advice for people who want to learn more about – and perhaps become involved in – the community? Tim: I think there are several things that would be beneficial for anyone looking to learn more about the community and the industry. The first is to take a tour. For this, I highly recommend that people visit Colorado. The culture is here. 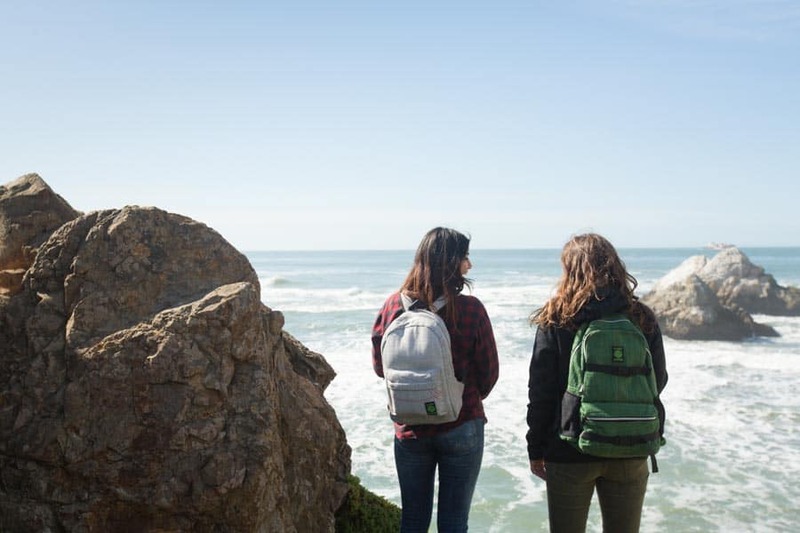 There’s so much tourism in the cannabis space that many people are unaware of. You can take a Colorado cannabis tour and visit local businesses and meet other people who share your passions. There’s even a 420 airport pickup that will take you to a dispensary before they drop you off at your hotel! Another option is to take an educational approach to the space and the industry. If you want to learn more, take a course at a marijuana university like Oaksterdam University. You can study growth, cultivation, or law surrounding marijuana. It’s a great way to become a pro in this space. And last, but not least, get high. Grab the high road! Show the people around you that the stereotypes they think exist, do not. CM: That’s great advice! I feel like you can really relate to that last point. Your company does a good job of setting an example for how to give back to the cannabis community and set a positive example for people who only know negative things about cannabis. CM: It’s great to hear that you’ve always had such a pro-community mentality going into the industry. Before you created Dime Bags, when your main focus was Head Choice, did you have the same mentality? Or did your time with Head Choice help to develop your perspectives? Tim: Over the 17 years I’ve been involved in the cannabis industry, the industry has done a lot to develop both myself and my businesses. The original vapes and products that we were involved in manufacturing and distributing were generally related more towards the tobacco industry. But as the cannabis industry began to bloom and grow like a weed – all puns intended – we found ourselves developing and creating new products tailored more towards the industry we actually cared about and supported. CM: That’s a very thoughtful and accurate description of what the industry can do for people who really invest themselves into it. You were an early mover in the cannabis industry. I’m sure it’s been challenging to work in an industry that’s still working to try to build its identity. Can you tell me about some of the obstacles you’ve had to face while working to bring your products to market? Tim: When I think of the state of marijuana today I think of alcohol prohibition. Our industry is very much trying to overcome its own prohibition. The obstacles are ever changing. Of course we’ve faced the problems of securing financial investments, finding insurance for building and products, and breaking down the stereotypes of being something we are not. We are ultimately are able to overcome these obstacles, but they still present hard challenges. CM: Yeah, I know it’s been difficult – especially in the early years – and I know that it will likely still be difficult in the upcoming years, but I think your company has done a good job of continuing to persevere through the tough times. In fact, you’ve done so well that you’ve gotten attention from some major retail companies – that you then decided to turn down. How did your company values impact your decision to respond to those retailers? Tim: We’ve been approached by several big retailers like JC Penny and Ross, and we turned them down for several reasons. We didn’t feel that the stores really gelled with our brand or our missions. We also felt like these are the stores where brands go to die. We have found so much fulfilment in supporting the small business economy because these mom-and-pop shops are way more in tune with us. We believe that there are big box retailers that are more symbiotic to our space, and we’ve opened the door with many of those large companies, but we have yet to decide if we want to seal those deals. CM: I think your determination and work ethic are admirable and I’m so glad that we got the chance to interview you today! Is there anything else you’d like to say before we close? Tim: Get involved in your community and be philanthropic. Be pillars of your community, give back, and live the Dime Life! CM: Great advice Tim! Thank you so much for taking the time to interview with us today! We loved hearing more about you and your company! Tim: No problem! Thanks for having me! Sierra Donovan is an indie author dedicated to the art of content creation. In her free time she travels the world with her fiancé to expand her perspective on life. Cannalobster Revolutionizing the Meat Industry?